GPS App Data file Now Available! 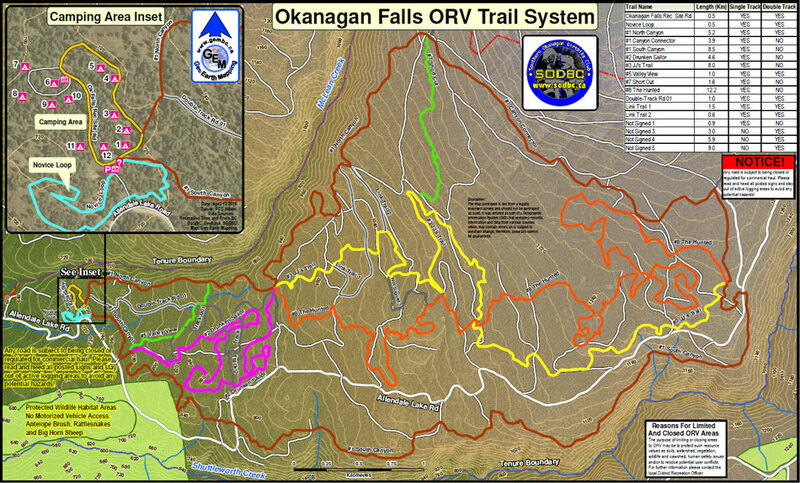 Geo-Earth Mapping has completed the GPS mapping of our trails. The .gpx file for use on phones or GPS units capable of displaying at least 150 tracks. The .gpx file can be opened with Garmin Basecamp (or Mapsource) as well and then sent to a GPS unit using the software. Note that this will only work on newer off road GPS units such as the Montana or Monterra because it needs to support 150 tracks. Click on either of the maps to get a high quality version in PDF format. THE DIRT KEEPS FLYING, FOLLOW US! Penticton Web Design by Navigator Multimedia Inc.